by Zane November 18, 2016 February 5, 2018 . Few more days and December will be here. Have you already found your “forever?” If you’re lucky enough to be out from those which we always call SMP or “Samahan ng malalamig ang Pasko”, then you should pay attention and read this post. Don’t get me wrong, if you’re alone for Christmas you should read this too! So let’s talk about Laguna. I have been there twice and I feel like I want to go back and check out new places just to see what they can offer to tourists and couple visitors. The only places that come to my mind whenever I hear the word Laguna are Enchanted Kingdom, Floating Resto Park and Turbina (the bus terminal). I did a week of research and asked some of my friends who’ve already been to Laguna and found out that there are many hotels waiting there for us. I am planning to travel more this coming 2017 and Laguna is on the top of my first four stops. Are you excited? Would you like to do that too? 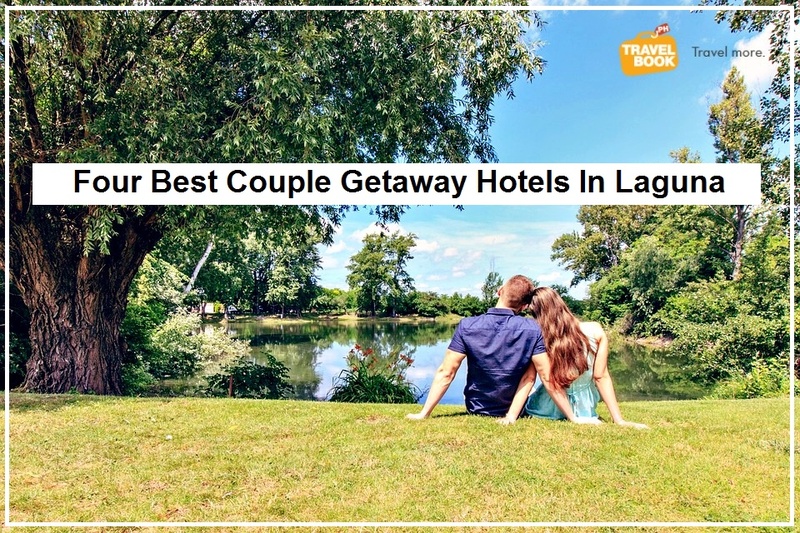 If so, here are the four best hotels that you and your special someone should check out on your next couple getaway. If you and your special someone is all about adventure and fun outdoor activities, you’ll enjoy staying at Mountain Lake Resort in Cavinti, Laguna. Companies, families, and couples are loving the many enjoyable activities that they offer. If I am not mistaken, they have been featured on big television network because of their unique In-Water Obstacle course. This place is one of the best places to go for a romantic camping, group glamping, and team building. If you worry about food, forget it because they offer Filipino and Korean cuisines. Choose from their spacious nipa huts which you can find real relaxation. Looking for a place to have fun and escape the noisy city life? Well, sometimes you and your partner should learn to have your “alone time” so you’ll get to balance your relationships and other priorities. Take time to relax after the busy working days. Check out Makiling Highlands Resort which is located in Calamba, Laguna. Swim in their pools which come in different sizes. I can say that this place is accessible and it’s just a few kilometers away from Manila. They have 20 cozy air-conditioned rooms, 10 fan rooms and relaxing nipa hut which is perfect for your couple weekend getaway. December is a cold month here in the Philippines and you might still want to have fun outdoors. Running out of ideas where to go next? Sol Y Viento Mountain hot Springs Resort is the perfect place for couples who are always up for adventure no matter what season it is! Located in Calamba, Laguna, this hot spring resort has a garden for your romantic sight-seeing, swimming pools, and Jacuzzi. Sip their best-selling wines and cocktails which you can get at their Fabrero Chill bar. They also offer Filipino and American cuisines for your hungry tummies. Overlook the Laguna de Bay and Mount Makiling from their stylishly designed rooms. You have too many rooms to choose from, with fully equipped comfortable beddings, TV, and hot and cold shower with toiletries for your needs. Pansol popular place in Laguna. It has many private resorts wherein you can spend days and romantic nights with your special someone without going too far from Manila. La Vista Pansol Resort is perfect for your couple weekend getaway as it offers pools with slides that you can enjoy, executive rooms and a cool view of Laguna Lake and Mount Makiling. This is the best place to stay in Laguna if you want to go trekking and visit nearby falls. Go on and start that adventure with your special someone!